A pilot Pennsylvania DOT program will implement an automated vehicle location system on 516 PennDOT plow trucks and 212 contracted rental trucks. 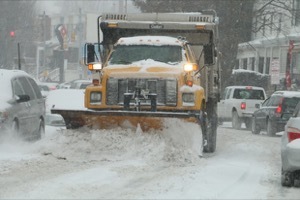 By providing real-time information about vehicle movement, plow route coverage and material usage, PennDOT expects the AVL technology to save $1.4 million over the next four to six years by reducing salt usage and improving the use of department equipment. The pilot is part of Pennsylvania’s GO-TIME initiative, which seeks to modernize state government operations and encourage inter-agency coordination and collaboration. Details. 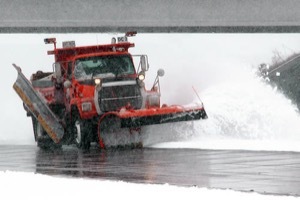 The October 2015 issue of the APWA Reporter focuses on winter maintenance, with several articles of interest to snowfighters. Relevant features include articles on communicating with employees and the public, a report on the Snow and Ice Cooperative Pooled Fund’s top components to a world-class winter maintenance program, resource management, salt usage reduction and the challenges of implementing new winter maintenance practices. Issue. 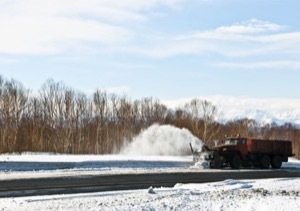 Roads & Bridges has published a supplement dedicated to winter maintenance. 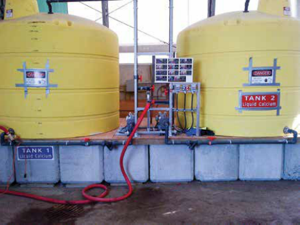 Articles in the supplement address a peer exchange program between West Des Moines, Iowa, and Fargo, North Dakota, in which the agencies exchanged personnel for a week; customizing salt brine blends for anti-icing applications; snowfighting in Alaska; storm model development in Ohio; and a report on Clear Roads’ Snow and Ice Control Environmental Best Practices Manual. Issue. The communities of Lake George and Hague, New York, will test the “live edge” plow in an effort to reduce salt usage this winter. The plows, provided by manufacturer Metal Pless Inc., use spring-loaded plates to adjust to unevenness in the road to remove more snow than conventional plows. The S.A.V.E. Lake George Partnership, a group advocating reduced salt usage that hosted a Salt Summit in September, hopes the live edge plows will reduce salt application by up to 40%. Details. Boston’s Public Works Department has outlined lessons learned from last year’s winter, which saw more than 100 inches of snowfall on the city and the creation of a 75-foot snow farm that didn’t fully melt until July. The city will have more, smaller snow piles to store snow cleared from streets, and the city has purchased two snow loader/blowers to help carry snow away from streets. They also plan to focus communication efforts on telling the public about the work that is about to happen, rather than work that already occurred. Details. 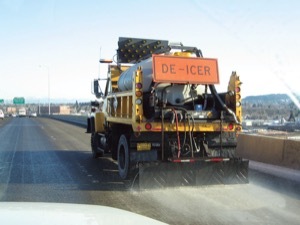 A 12.4 percent reduction in the Alaska Department of Transportation and Public Facilities budget due to falling oil prices will force the state to reduce its winter maintenance activities this winter. The agency has issued an interactive map to provide information about roadway priorities, with estimates of the length of time it will take to clear state-maintained roads after a storm. Several roads have been added to the list of routes that will not be maintained, including the Nome road system and the road to Yakutat. Details. Twenty three snowplow blades have been missing since June in a possible theft from the Maryland State Highway Administration’s Glen Burnie maintenance shop. The state has been upgrading inventory control processes since March. Since the blades went missing, the agency has upgraded security at maintenance facilities by restricting key card access and limiting access after hours. The agency says it has enough blades and equipment for operations through the 2015-16 season. Details. Bare-lane regain times are currently the primary measure of winter maintenance performance. Bare-lane regain time is determined by visual inspection, which is inherently subjective and imprecise, as observers cannot be in all places at all times and roads may regain bare pavement conditions before the road can be observed. This project proposed an alternative measure of performance, normal condition regain time, generated automatically using traffic flow data. Initial tests showed promise for normal condition regain time measures to be used as reliable operational measures. Report. Traditional practices of siting RWIS stations rely heavily on the experience of maintenance and operation personnel, which is time-consuming and subjective. This study developed a model to optimize RWIS station locations based on three criteria: weather, traffic conditions, and distance to existing RWIS sites. It also considered practical constraints such as relative importance of weather and traffic factors or available budgets. A case study demonstrates the application of the proposed station siting methodology. Report. Ohio DOT currently uses flame-hardened steel blades on its snowplows. However, there are multiple blades currently on the market that may offer longer lifespans. This project evaluated several blade options, including different configurations of flame-hardened steel, carbide-tipped, Joma, PolarFlex, and BlockBuster XL Classic, using video and blade measurements to collect data. Carbide and the XL Classic blade both produced savings after one year. After two years, most blades reduced costs, with PolarFlex blades producing a cost savings of $778 per blade, while the XL Classic saved $302 per blade. Report. 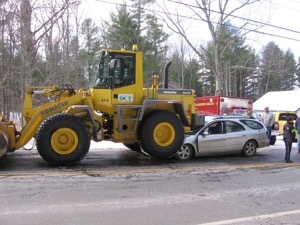 This project evaluated the trial use of backing cameras on New Hampshire DOT maintenance vehicles, including plows, as a tool for minimizing backing accidents by eliminating blind spots. 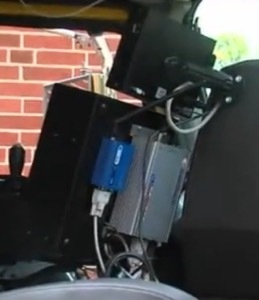 Seven vehicles were equipped with cameras, and drivers were interviewed after a year of use. Most drivers considered the cameras a useful safety tool, although improvements to mounting positions for cameras and monitors were recommended. Details. 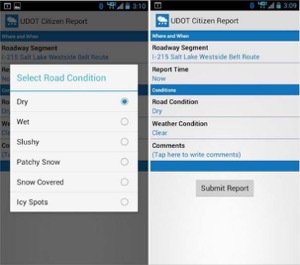 This report summarizes the experiences of five state departments of transportation—Wyoming, Utah, Idaho, Iowa, and Minnesota—in implementing citizen reporting systems for road conditions during winter snow and ice events. The reviewed DOTs were motivated to start citizen reporting programs due to the need for timelier, more accurate road condition information. Issues discovered include departmental and administrative resistance to citizen reporting, inconsistent reporting frequency, lack of reporting in rural areas, and lag between observation and reporting that is necessary to prevent distracted driving. Beneficial outcomes include more current information, improved trustworthiness and quality of information, and the empowerment of the public. Report. 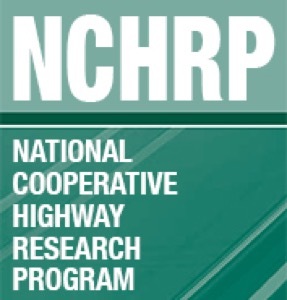 This project provides a review of permeable pavement technologies, including full-depth permeable pavements, porous asphalt, pervious concrete, and permeable interlocking concrete pavements. Chapter 5 discusses maintenance needs for permeable pavements, particularly to avoid clogging the pavement, which can reduce infiltration rates to unacceptable levels. Permeable pavements tend to require less salt than other types of pavements to produce a bare roadway, and sanding is not recommended. 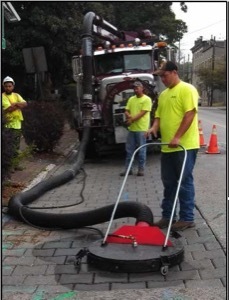 Washing and vacuum sweeping are effective methods of restoring the infiltration capacity of clogged permeable pavements. Report. This report provides guidance on strategies for adapting to the likely impacts of climate change in planning, design, construction, operation and maintenance of infrastructure in the United States through 2050. Climate models tend to project wetter but warmer winters across most of the United States, which may reduce winter maintenance costs. Individual storms may be bigger, however, and the Midwest and Northeast are projected to have higher winter precipitation levels. The report includes overviews of adaption strategies from local, state, and national agencies. Report. New capital projects increase the time and money required to complete roadway snow and ice control operations. This increased winter maintenance burden is rarely quantified and often is not considered during the early stages of the capital project development process. This project will develop an automated method of quantifying the impact new capital projects will have on roadway snow and ice control costs. Project Description. Structural or living snow fences are one common method of mitigating snow drift on road ways. Designing snow fences relies on empirical equations, particularly for estimating the snow relocation coefficient (SRC), that do not necessarily apply to Midwestern states. This project will develop an image-based method to measure the SRC directly in the field under various conditions. It will also allow measurement of the temporal evolution of the volume of snow a fence retains. Abstract. This project will produce a proof-of-concept prototype of a technology to harness and store energy from truck traffic to help mitigate winter conditions. The prototype will consist of a scaled model of a bridge and its approach slab with a piezo-electric array linked and tied to a battery that can trigger a heating element to melt an inch of snow or a moderate amount of ice. Abstract. Extreme weather events and a changing climate can produce significant costs to transportation agencies, communities and the traveling public. This research will help to improve understanding of the costs and benefits of adaptation measures to prepare for extreme weather events and climate change. This should provide guidance to help transportation decision-makers make better long-term decisions based on a holistic analysis. Project Description. © 2019 Clear Roads. All Rights Reserved.